The Oregon Ducks’ blistering recruiting pace has put college football teams across the country on notice. Currently, the Ducks’ 2019 class ranks fifth in the country and first in the PAC-12. And they are in great position to land some of the top remaining prospects. Much praise has been given coach Mario Cristobal and his staff for the job they’ve done so far, but how exactly are they doing it? How are the Ducks, in the most trying period for Oregon football in this decade, recruiting better than ever before? Let’s look at the factors that make this current coaching staff such a dominant force on the recruiting trail. Great recruiters recognize the importance of recruiting. While coaching and talent development are critical elements in building a championship-caliber team, recruiting is every bit as big a determinant of on-field success. Teams that consistently compete for a national title also consistently win on the recruiting trail. Look no further than last year’s college football playoff participants: according to SB Nation, each of them has ranked in the top 15 in recruiting over the last five seasons. 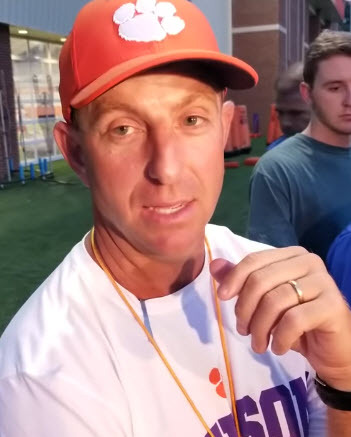 Clemson head coach Dabo Swinney is one of the best recruiters in the country. Cristobal and his staff not only acknowledge the importance of recruiting, they embrace it wholeheartedly. “Talent acquisition is always going to be one of the three parts that makes a program what it is,” said Cristobal in his media-day press conference. There are many coaches that aren’t fans of the recruiting process, and pursue prospects reluctantly — Chip Kelly is infamously one of them. Cristobal, on the other hand, recognizes that he can’t compete for championships without great recruiting. 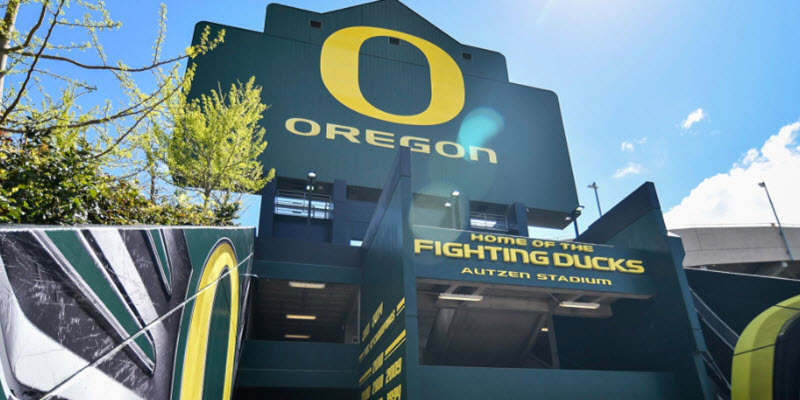 By paying attention to talent acquisition and embracing the process, the Ducks are already at an advantage over programs that don’t see recruiting as a top priority. 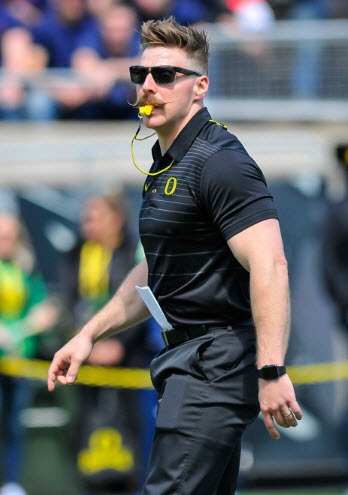 Strength and conditioning coach Aaron Feld is one of the many enthusiastic members of the Ducks’ coaching staff. The Ducks have built a staff full of passionate, driven coaches who share an infectious enthusiasm for and dedication to the recruiting process. Many teams have a few position coaches who are solid recruiters, but to be a team that consistently ranks among the best, the entire coaching staff needs to be loaded with ace recruiters who are eager to outwork their competition. Cristobal, with the help of former head coach Willie Taggart, has done an outstanding job of assembling such a staff at Oregon. He calls his coaches “relentless, tireless workers,” and their track record so far speaks for itself. From strength and conditioning coach Aaron Feld to defensive line coach Joe Salave’a, the entire staff is full of energy and has an unequivocal passion for the program. It’s obvious in their interactions with the media, and it’s enticing to recruits, as evidenced by the success of the recruiting class so far. Cristobal looks for players who fit the culture he is trying to create. The type of player that a team recruits shapes the identity of the team moving forward. Cristobal wants the Ducks to be a team of intelligent, hard-working players who share his relentless, championship-level drive. Fill the roster with players who have that dedication, and the team will adopt that mentality. Many programs wait to see how other teams evaluate a recruit, and base their offer decisions on what their competition does. The Ducks do the opposite. They make the first move, and force their competition to react to their assertiveness. This philosophy has helped the Ducks win a lot of recruiting battles to this point, and it will serve them well moving forward. 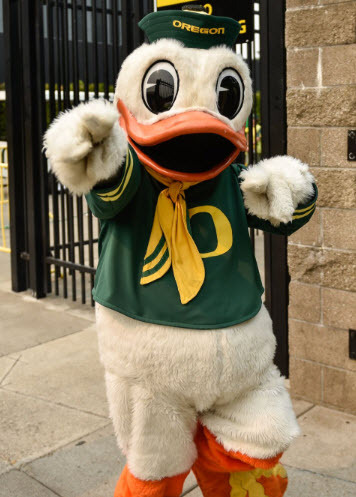 Oregon is such a special place that the Ducks don’t need to resort to theatrics to get recruits to commit. Theatrics, outlandish promises and idealistic portrayals of one’s program are commonplace in the world of recruiting. Prospects are often courted by any means necessary to gain a commitment. While it is true that every team must sell the benefits of their program to recruits, the Ducks do so by being as sincere as possible. They trust that an accurate portrayal of their program will be enough to convince top recruits to come to Eugene. These elements have helped the Ducks assemble the highest-ranking recruiting class in school history. And, with many highly rated, uncommitted prospects favoring them, they might not even be finished with adding pieces to it. It’s clear that exciting times are on the horizon. 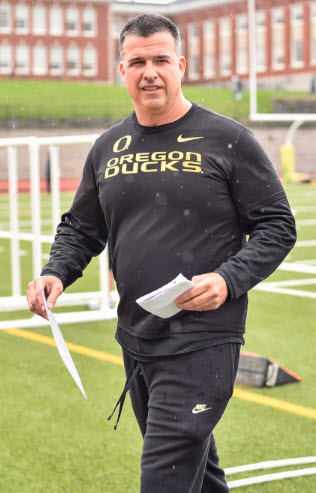 If the coaching staff continues to apply the principles that have benefited them so far, this may be the beginning of the Ducks’ rise as a recruiting powerhouse.